Addressing the needs of individual learners in online courses is commonly perceived as challenging for instructors. Design principles included in the Universal Design for Learning (UDL) framework have the potential to optimize learning in all spaces for all people, based on scientific insights in how people learn. In this session, we will share principles from the UDL framework that promote flexible learning opportunities within online courses. Specifically, an instructor’s experience of integrating UDL principles into online courses will be presented, and an online tool called Universal Design Online Inspection Tool (UDOIT) will be showcased. Dr. Little is a Professor and Coordinator of Graduate Programs in Exceptional Student Education at UCF. She teaches undergraduate and graduate courses, both online and face-to-face, in subjects such as mathematics, assessment, instruction, action research, and program evaluation. In addition, Dr. Little implements the principles of Universal Design for Learning (UDL) to meet the diverse learning needs of students, and often presents in this area at state and national venues. 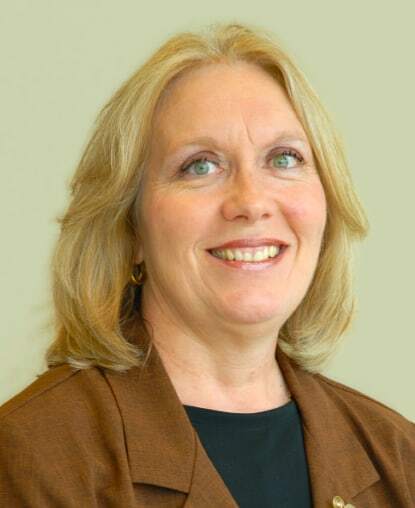 Nancy Swenson is an Instructional Designer at UCF's Center for Distributed Learning, assisting faculty in the design, development, and delivery of online courses. She has over 25 years of experience in the educational field and has taught online, mixed-mode, and face-to-face courses. Her online teaching and learning research interests include adult learning theory, accessibility of online education, and universal design for learning. Universal Design for Learning Guidelines: This interactive graphic designed by the Maryland State Department of Education and Howard County Public Schools showcases the three main principles of UDL and offers strategies on how to apply them. Center for Applied Special Technology (CAST): This is the primary site for the Universal Design for Learning framework, and goes into detail about the UDL guidelines. UDL On Campus Universal Design in Higher Education: This page from CAST demonstrates how the UDL Framework applies to the higher education learning environment and provides additional resources. Ten Steps Toward Universal Design of Online Courses: This page provided by the University of Arkansas at Little Rock offers ten practical strategies to uphold the principles of universal design in online learning. Learn the Basics with Equal Access: This page from the University of Washington provides a video and publication about how college teachers can design courses to be more accessible to all students. UDL Toolkit: A state collection of UDL resources, including the UDL Curriculum Toolkit, guidelines, and policy foundations for UDL. Retrieved from University of Florida, Collaboration for Effective Educator, Development, Accountability, and Reform Center: Gainesville, FL. Universal Design for Learning: Recommendations for Teacher Preparation and Professional Development: This document sponsored by the CEEDAR Center features an innovation configuration (IC) matrix that can guide teacher educators in the development of appropriate Universal Design for Learning (UDL) content. What is UDOIT? : This page provides an overview of the Universal Design Online Content Inspection Tool (UDOIT), which is available in all UCF online course sections. It also provides a link in which to download the source code for those outside of UCF. UDL: A Systematic Approach to Supporting Diverse Learners: This article written by Mark Hofer Ph.D. in the Faculty Focus discusses applying UDL principles to the classroom from a faculty member’s perspective. UDL Provisions in the Higher Education Opportunity Act: This page from the UDL Center provides basic provisions of the law pertaining to universal design for learning. Published Books and Articles about Universal Design of Online Learning: This page from the University of Washington provides a comprehensive list of scholarly articles about universal design in the higher education environment. Universal Design for Learning (UDL): A Content Analysis of Peer-Reviewed Journal Papers from 2012 to 2015: This article by Ahmed Al-Azawei, Fabio Serenelli, and Karsten Lundvquist featured in the Journal of the Scholarship of Teaching and Learning analyzed papers about UDL implementation and found that positive results were yielded in the majority of studies. A Blueprint for UDL: Considering the Design of Implementation. The first section of this blueprint offers an overview of UDL; next, implementation stages are introduced. The roles of stakeholders are examined, and conclusions are drawn with respect to implementation of UDL across four school districts.